Kira Gowan graduated from CU Boulder with a degree in Speech, Language, and Hearing Science and Linguistics. Kira also studied Drama at Ithaca College, and spent several years working for an educational nonprofit focused on helping children learn to read. If you squint hard enough, you can see that her background clearly and inevitably led her to want to work in podcasting. Kira has been enjoying MaxFun podcasts since she discovered that they're more entertaining than conversing with her cats. 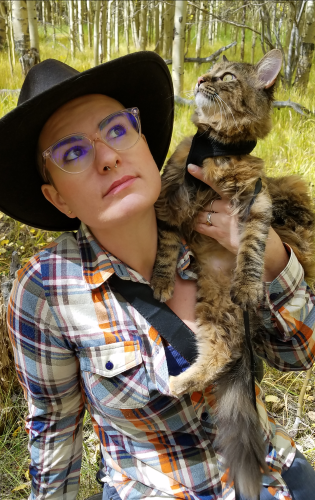 She grew up in Colorado, where she and her cats enjoyed hiking, snowy weather, and other rugged outdoorsy activities. You might recognize her by her ever-changing hair colors and styles!